Log into Infinite Campus (ic.svvsd.org). 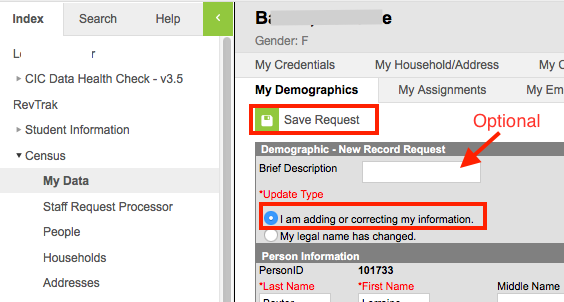 Then go to Census > My Data > Click on Request Demographic Update. A Brief Description is Optional. No name changes will accepted or approved. To change your name contact Human Resources. Scroll down and make any changes you want. How do I update the operating system (OS) of a Chromebook?